Will you have enough irrigation water to get through the season? Once you know your water situation you can plan out the season. For help with a water budget contact Agriculture Victoria’s Irrigation Team at Maffra on 03 5147 0800. Permanent or temporary water is available via trade if you are concerned about your allocation for the season. Check out the current market prices to see if that is a cost-effective option for your farm. 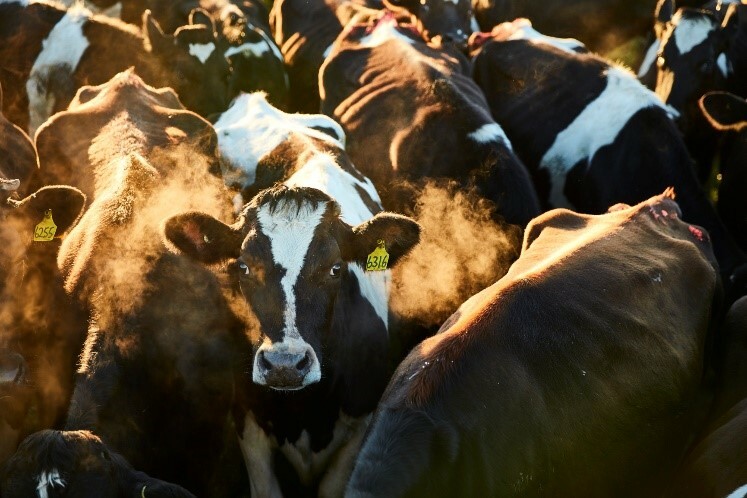 Some of the factors that need to be considered when buying water to grow more feed include the price of equivalent quality feed supplements (very high this year), your water use efficiency (ML/ha/irrigation), pasture consumption/ha, and the herd’s requirements for nutrients (e.g. protein, fibre or energy). If you are lucky enough to have access to ground water, fully use your ground water allocation where possible. Effluent ponds can also be a source of water that may supplement your irrigation allocation but remember that water quality is important. Be cautious if bore water is salty, and don’t forget to shandy bore water or effluent with your channel or river water if you can. Agriculture Victoria’s irrigation team can test your water samples for salinity for free – just drop in a sample to the Maffra office. 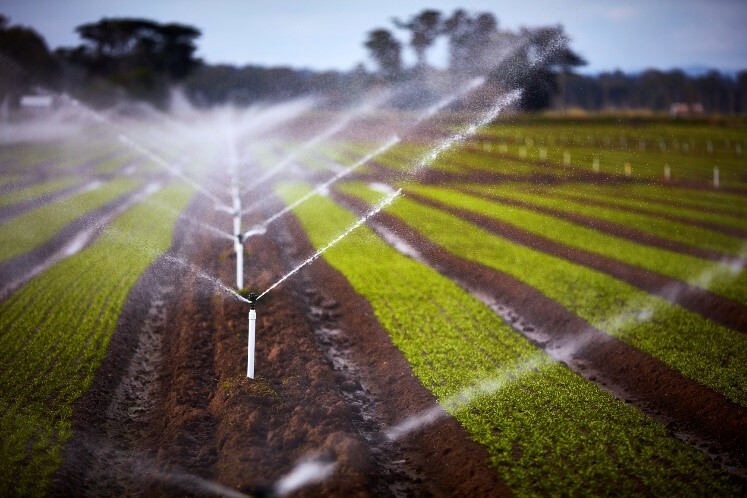 Subjecting your plants to water stress by stretching irrigation intervals will usually result in increased water use per irrigation and much lower pasture production per megalitre. Your clover and ryegrass growth will suffer while lower quality pasture species will flourish. Use the cumulative measured daily pasture water use figures (ETo) to help you schedule your irrigations. A weekly email with ETo figures and approximate irrigation intervals is produced by Agriculture Victoria, to subscribe contact Alexis on 0428 387 869. More pasture can be grown and consumed from a small quality area that is regularly irrigated than a larger area that is not regularly irrigated. The total area you can irrigate with your remaining water will be calculated in your irrigation budget. Keeping pasture green and ready waiting for rain is tempting in Gippsland, but it may be a risky gamble this season. Make sure the water level is as low as possible at the start and end of each irrigation. This will leave storage capacity available in the reuse system to collect the maximum amount of run off from your next irrigation or any rain that may fall. If an area doesn’t drain to a reuse system, consider short watering your bays to minimise runoff. Use appropriate rates of nitrogen on your irrigated pastures to grow the most pasture for water used. Grazing management is as critical as always. Keep a good feed wedge in front of the cows to maximise pasture growth for every ML applied. Keep in mind, if it is not milker quality feed – cut for silage so you have fodder on hand for later in the season. Make the most of the water you have, to grow the maximum amount of grass. 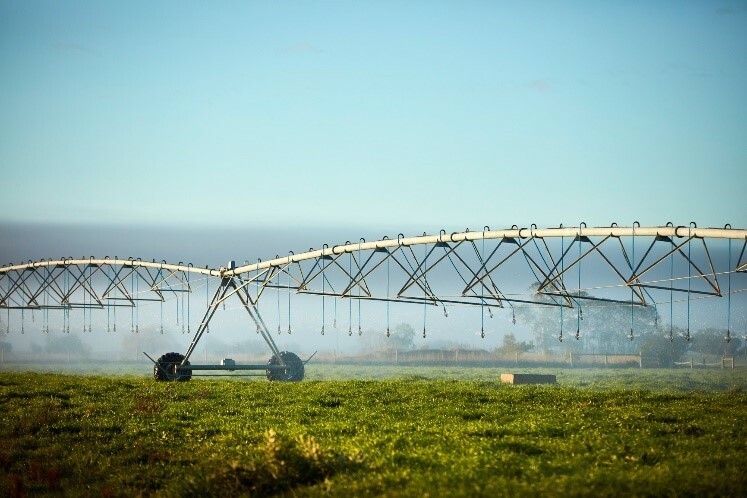 Remember, if you have irrigation enquiries, would like to know more about scheduling, or would like to do a water budget, please contact the Agriculture Victoria Irrigation team on 5147 0800. Disclaimer – This publication may be of assistance to you but the State of Victoria and its employees do not guarantee that the publication is without flaw of any kind or is wholly appropriate for your particular purposes and therefore disclaims all liability for any error, loss or other consequence which may arise from you relying on any information in this publication. While every effort has been made to ensure the currency, accuracy or completeness of the content we endeavour to keep the content relevant and up to date and reserve the right to make changes as require. The Victorian Government, authors and presenters do not accept any liability to any person for the information (or the use of the information) which is provided or referred to in the report.